I became oddly (*snort* ODDly!) enchanted by this story of two sisters, although it was less the magical storytelling that captured me, but rather the relationship between Od and Tru and the secrets that lay between them. I went into Odd & True with somewhat false expectations, based on early synopses and the cover picture. I definitely expected something about monster hunters! Instead, Odd & True is more complicated and nuanced than I would have thought, and ultimately conveys some lovely sentiments about family and belonging. Od and Tru, when we first meet them, live in a plain Oregon home with their straight-laced, strict Aunt Viktoria and her husband William. Od is five years older than Tru, and has been Tru’s protector since both their parents left them years earlier. Tru suffers terrible pain in her leg as a result of polio as a toddler, and to distract her from her suffering, Od tells Tru stories of their past. 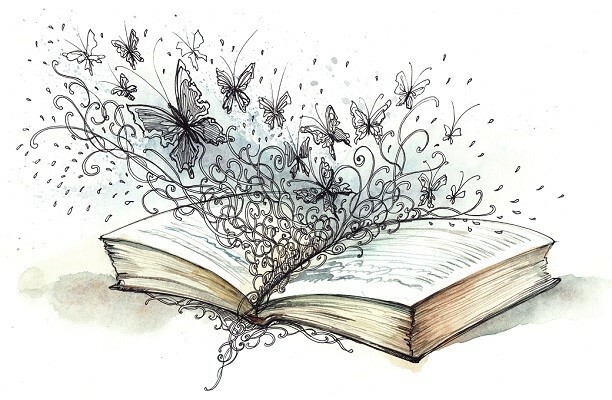 She tells her the story of the day of her birth, when she was born in a castle and her uncle the magician came to visit, stories about their mother setting out to battle monsters in the deep, dark woods, and stories of their artist father traveling the world to seek his fortune. Tru believes it all, and grows up with no doubt that monsters exist in the world, and must be warded off by charms and amulets and spells, as well as by the special monster-hunting weapons in the family’s special traveling case. 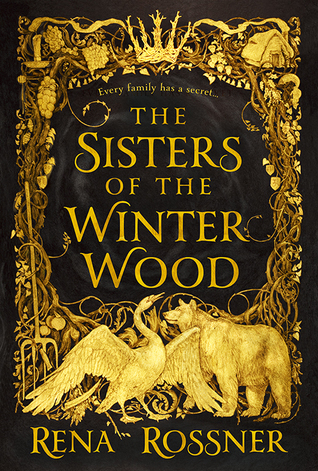 In alternating chapters, we get the sisters’ views of their world… and once we start hearing from Odette, it becomes increasingly clear that the magical tales she spins for Tru are just a sugar-coated version of the darker truths of their childhood and their parents’ lives. As the story progressed, I became more and more engrossed in Odette’s part of the story, and perhaps as a consequence, I found it harder to buy into Tru’s view of life and her fantastical belief in myths and legends. Still, I really appreciated the sisters’ devotion to one another, and the various threads do come together nicely by the end. I had a hard time getting truly caught up in the story at first, but gradually it grabbed me, and I ended up liking it very much. I really admire the way the author weaves together the two viewpoints to create a picture of a family that’s mired it its own myths. I’ve decided I’d rather be foolish than ordinary. I’d rather risk chasing monsters that might not exist, searching for [deleted spoiler] I’m not meant to find, than to believe we’re nothing more than mundane creatures, steeped in ordinary lives… Please trust me when I insist that it is too soon for you to turn your back on spellbinding wonders. 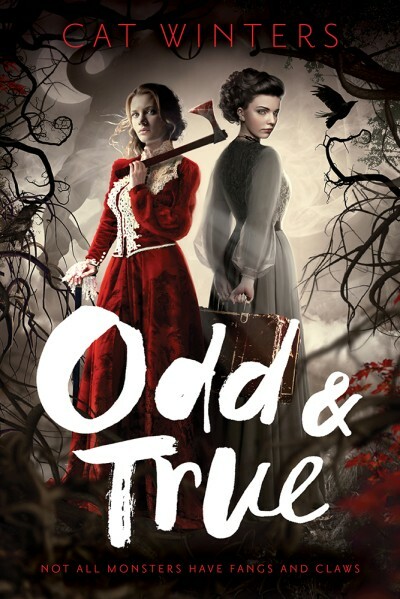 Odd & True is the story of two young women who refuse to let their lives be dictated by what they “should” be and do. It’s about taking risks and being brave, facing danger even when you feel weak, and not letting anyone put you into a box. It’s quite a lovely read, and I think fans of Cat Winters, as well as those new to her wonderful books, will enjoy Odd & True very much. 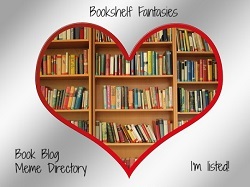 A quick note: I thought I’d try out a new book review format! My “Take a Peek” reviews will be short and (I hope) sweet, keeping the commentary brief and providing a little “peek” at what the book’s about and what I thought. Tell me if you like! Lizzy & Jane is both sad and hopeful, a look at two sisters who have a seemingly impassable chasm between them after years of resentment, estrangement, and loneliness. Elizabeth is adrift in the world; she thinks that she’s put her painful family history behind her and that she’s found success as a top New York chef, but as the story opens, she’s forced to admit that her life just isn’t working any more. Reunited with her sister and her father, Elizabeth slowly starts to find joy in her cooking again, as she cares for her sister, her sister’s kids, and even the other chemo patients she meets while keeping Jane company. As Elizabeth begins to open herself up to forgiveness and reconciliation, she finds her life taking on new meaning and finds a passion and purpose that she didn’t even know she needed. 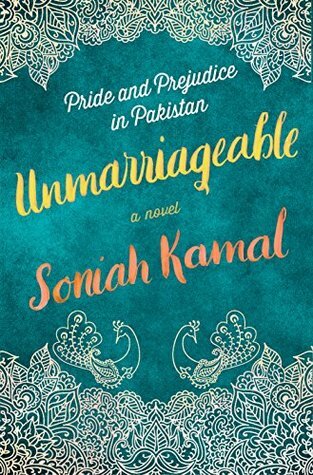 I loved how neatly the author ties together literature and cooking in this lovely (and delicious) novel. I’m not a foodie, but even I appreciated Lizzy’s knack for understanding a person’s food tastes based on what they love to read. I don’t know if I’m quite convinced that it would work in real life, but in the context of fiction, it’s simply inspired! 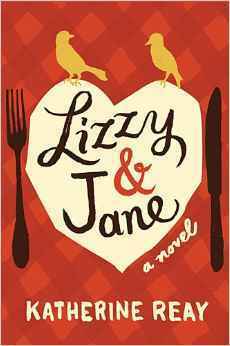 Overall, I really enjoyed Lizzy & Jane. 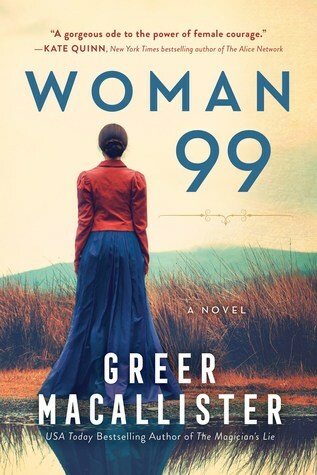 The main character is flawed and wounded, and it’s lovely to see her reconnect with her sister and rediscover herself in the process. The love story is a tad predictable, but still delicious in its own way. 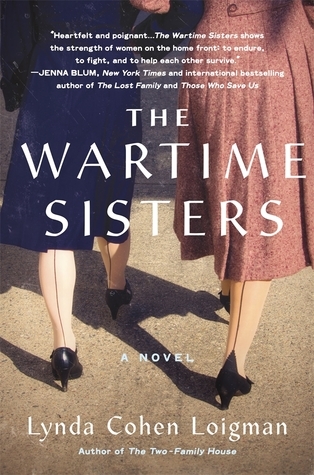 The portrayal of the fraught relationship between the sisters feels realistic and sensitive, and I couldn’t help cheering for the characters (and occasionally wanting to give them a little kick to get them talking again!). Filled with real emotion, satisfying personal growth, and a group of supporting characters who each add a little spice to the story, Lizzy & Jane is a great choice for anyone looking for a book to make you feel. Reading a book about ballet dancers is a bit like studying anthropology or reading fiction set in an exotic land. Ballet is a world and a culture unto itself, with its own customs, morals, standards, language, costumes, and rituals. Those at the peak of the profession form an insular little society, truly an alien species in the eyes of the non-ballet world — and even more so, the “normal” world, to the ballet elite, is foreign, slightly unpleasant, and unrelentingly ordinary. 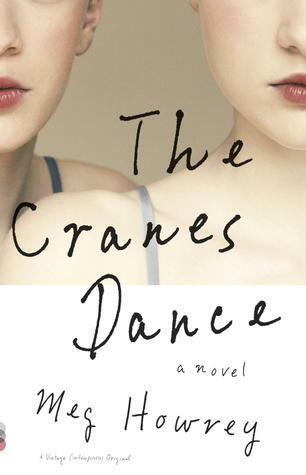 So it would seem, in any case, from reading The Cranes Dance, an excellent but disturbing peek into the world of a top New York City ballet company, as told by main character Kate Crane — whose perspective may not be all that reliable. Kate is in her late-ish 20s, and has been with the Company since she was a rising teen ballet student. Kate is a lovely and talented dancer, but her younger sister Gwen is a star. Gwen joins the Company a year after Kate, but is made a principal (a prima ballerina, if you will) at the same time that Kate, with more years of experience, is raised from the corps to soloist (a featured dancer, performing good roles, but definitely not the star of the show). But it’s all okay, because Kate is devoted to Gwen, and from day one sees her as someone to be nurtured and cherished, whose gift must be protected and encouraged above all else. As The Cranes Dance opens, Kate is on her own in New York for the first time in a decade, after having called her parents in Michigan to report that Gwen has had a nervous breakdown. Gwen has been scooped up and taken away by the parents, and Kate is left to deal with her grief, her guilt, and deep down, her relief at being free for once in her life. Unfortunately, Kate has perfected the skill of not dealing. She’s made a career of keeping everyone at arm’s length, never admitting that she has needs or wants, and finds herself adrift. Unceremoniously dumped by her boyfriend (she never let him be there for her, apparently), Kate moves into Gwen’s now empty apartment, and more or less into Gwen’s life. She lives amongst Gwen’s things, she wears Gwen’s clothes and uses Gwen’s hair products, and before long, she’s dancing roles meant for Gwen as well. Friends and colleagues tell Kate that she’s never danced better, and the company director comments that it’s been hard “to watch you diminish yourself” — implying, perhaps, that Kate’s devotion to Gwen has kept her from letting herself shine on her own. But has Kate also taken over Gwen’s mental deterioration? Warning signs abound. After a neck injury, Kate turns to Vicodin to numb the pain — and soon, to numb everything else. Like Gwen, Kate is unable to sleep and loses weight due to lack of appetite. Kate narrates her life for the audience she imagines constantly watching her, as if being on stage is a shield against the dangers and disappointments of actual living. Inhabiting Gwen’s home, all alone, Kate is left to stare at the mysterious and disturbing tape marks and secret notes and symbols that Gwen used as talismans against fear, her secret obsessive-compulsive safety nets. Can Kate be strong where Gwen could not? 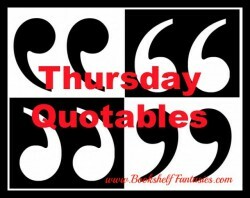 Can Kate numb the pain indefinitely, or will her world come crashing down as well? I enjoyed The Cranes Dance a great deal. According to her website, “Meg Howrey is a classically trained dancer who has performed with the Joffrey, Los Angeles Opera, and City Ballet of Los Angeles.” Clearly, this is a writer who knows the world she so keenly describes. 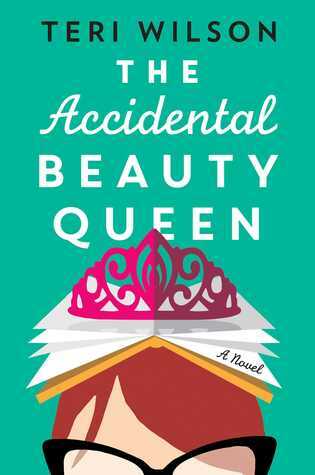 The first-person narration gives us a front-row view of the workings of Kate’s mind, and she can be hilariously funny at times, despite the physical and emotional pain that accompany her throughout her days. And so on. It’s fun, it’s funny, it often terribly sad, and it’s frequently disturbing. At the same time, Kate’s voice is engaging — even when she’s being obnoxious — and you can’t help but want to shake her a bit and get her to just, you know, snap out of it! You’re a ballerina! Enjoy yourself! Go ahead, hum a few bars. Pirouettes are allowed too. The glimpse into the backstage life of a ballet company is deliciously exotic. The endless classes and rehearsals, the jockeying for positions and good partners, the little slips that can spell disaster, the triumphs of a perfect gesture — all these are brought to life so vividly that you can hear the toe shoes landing after a jump. I dare you to read this book and not spend the next few days humming Swan Lake as you move, oh so gracefully, down the busy streets, perhaps with visions of tutus dancing in your head. Whether you read The Cranes Dance as a story of sisters, a narrative of mental illness, a profile of a person shut off from the world, or just for the joy of the behind-the-scenes glamour and excitement, I do believe you’ll be as entranced by the book as I was. You don’t have to be a ballet fan to enjoy The Cranes Dance — but you’ll probably want to dig out those old The Turning Point or White Nights videos by the time you’re done.